Theresa May has told MPs the UK could withhold payment of its £39bn Brexit “divorce bill” if a deal is not reached with Brussels. 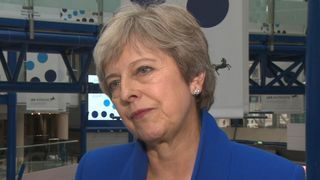 Facing MPs amid fresh questions over her grip on power, the prime minister said although the government had agreed to pay that amount to settle its outstanding obligations to the EU, “without a deal the position changes”. This contradicts Chancellor Philip Hammond, who told a Lords committee on Tuesday that Britain would still have to pay money to Brussels under a “no deal” scenario. 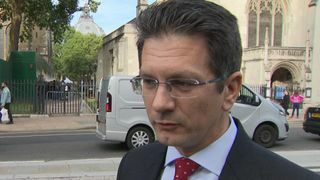 Sky’s political editor Faisal Islam said Mrs May’s suggestion at PMQs was a piece of “red meat” designed to reassure the European Research Group of eurosceptic Tory MPs. The group, led by prominent backbencher Jacob Rees-Mogg, has been putting pressure on Mrs May to “chuck Chequers”, her vision for Britain’s post-Brexit relationship with the EU. Members argue it would represent a betrayal of the 2016 referendum vote and leave the UK too closely aligned to EU rules and regulations. But the PM defended her Brexit blueprint during the same Commons session and gave no hints she was thinking of binning it. Mrs May noted that European Commission President Jean Claude Juncker, had earlier welcomed her ambition to develop an “ambitious new partnership”. She also mirrored Mr Juncker’s comment that the UK would never be “an ordinary third country”, saying Britain would view the EU in the same way. 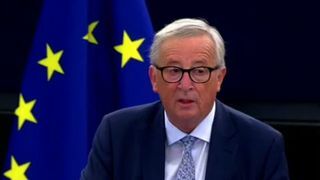 Although there were some warm words from the European Commission president, Mr Juncker also warned the UK it would not be able to pick and choose what elements of EU membership it could keep. A frequent criticism levelled at opponents of Mrs May’s plans is that they have offered no counter proposals of their own, a line of attack the ERG has tried to neuter. First it outlined how, in its view, Britain could boost its economy by leaving the EU without a deal and falling back on World Trade Organisation rules for trade. And in the latest attempt to put flesh on the bones of Brexit plans, the ERG released proposals on the Northern Ireland issue. 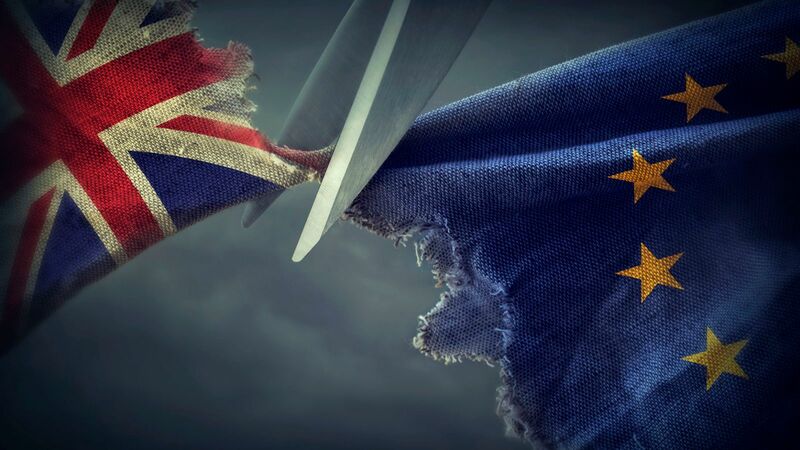 The question of how to avoid a hard border on the island of Ireland is one of the thorniest Brexit issues that needs to be solved, but the ERG says its plan would allow the UK to achieve this and leave the single market and custom union as well. 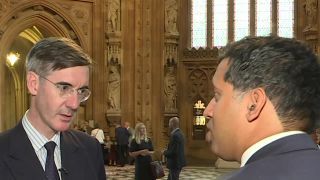 Mr Rees-Mogg said the government has allowed the border question to become an obstacle to achieving a Canada-style Free Trade Agreement with the EU. Mrs May’s official spokesman said of the ERG report: “We have been working on the issue of the Northern Irish border for two years and we have looked at a significant number of potential solutions. The PM’s Brexit plan, agreed after marathon talks with her cabinet at her country retreat of Chequers in July, envisages Britain signing up to EU rules and regulations for goods (a “common rulebook”) but diverging on services. But pressure has been growing for her to change course, with Remain-backing MPs also unhappy with the proposals.